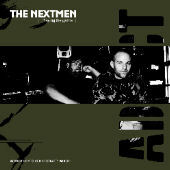 Addict Clothing have kindly given us tons of The Nextmen mix CD’s to give away to you very lucky readers. Find out how to get your hands on a copy of this exclusive now! Addict.co.uk provide the most stylish range of high quality clothing online, ranging from sharp t-shirts and jackets to fresh jeans and caps. They’ve also got tons of very stylish hats, bags and belts. As if that wasn’t enough, you can also pick up a great selection of magazines, collectable toys, paints and books. Right now the store are running a special offer, whereby a 45 quid purchase will get you a fantastic mix CD release by The Nextmen entitled ‘Playing The Game’ free. Addict.co.uk have kindly offered us ten of these CD’s to give away to lucky Rapnews readers on a weekly basis until the stock disappears. To be in with a chance of getting one, simply e-mail across your name and address. At the end of every week, ten heads will be chosen at random from all the entries, and anyone not fortunate to win are more than welcome to try their luck again.